INDUSTRY.co.id - Jakarta - Luna, South Korean brandsmartphone will again release a smartphone with great performance, Luna G8. The mainstay smartphone feature this is the presence of four cameras at once. Smartphone four cameras will certainly color the trend of smartphones in 2018. It was revealed from various analysts of the world technology that the camera will be more sophisticated smartphone. See, the camera technology innovation continues to evolve after the dikuasi single len's until 2016, then followed by dual len's increasingly widespread in late 2017. 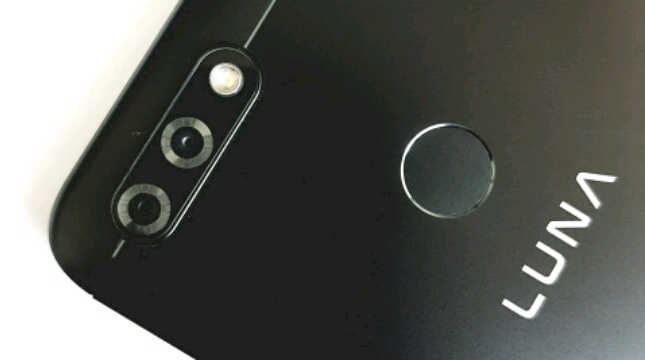 Two-lens camera will be the standard smartphone. The next phenomenon is the trend of four-camera smartphone. The four camera trends are believed to be Luna as a technological revolution to the demands of consumers who want to summarize the function of a professional camera in a grip called a smartphone. Like what the hell is the four-camera smartphone? Let's peek a bit about the great camera Luna G8. First, the lens adopted is Sony IMX 376. Lens is commonly used global brand for premium smartphone segment because of its quality no doubt. Luna G8 wants to prove that the quality of the camera is really a quality and reliable lens. Second, the resolution of the front camera Luna G8 uses a 20 + 8 MP configuration that not only produces more natural colors, but also provides an extra 120-degree wide viewing angle. With the option of resolution, the user can switch the main camera mode 20MP or 8MP camera for group selfie with wide angle 120 degrees. What about the rear camera? For the main camera supported 13MP resolution, while the second camera resolution 5 MP. Both rear cameras will work simultaneously, where the main camera is used to capture the results you want to focus on while the second camera to capture results that are not focused or blur. When capturing objects, the cameras software will combine the two images to produce a bokeh image. In addition, Luna G8 camera has a professional feature to set the camera settings such as DSLR cameras. There are also other advanced photography features, such as timelapse, to produce videos in an accelerated movement. Usually this feature is used by vloggers in order to produce more interesting video content and video stabilization that can soften the shock so that the video results remain good despite not using a tripod. Another feature is slow motion video, this feature works to produce slow motion video. As well as GIF features to create animations from a collection of photo frames, Pic Note feature that can make the images can be directly on the crop to be made pocket photos. While in terms of performance, LUNA G8 equipped with 2.6 GHz processor octacore and 4 GB of RAM. Reportedly Luna G8 will be present in Indonesia in the near future.